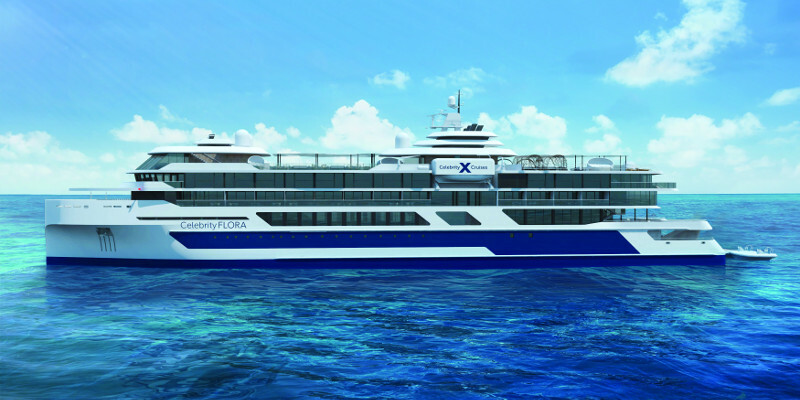 Celebrity Cruises recently unveiled details around its newest addition, Celebrity Flora, a ship that has been specifically designed to cruise the Galapagos Islands. She is expected to join the fleet in May 2019, when she will certainly make waves due to her innovative designs and cutting edge technologies, paired with Celebrity’s signature aesthetics. Celebrity Flora will be an upscale new build that can accommodate up to 100 guests, and will be based in the archipelago year-round. She will be one of the most energy-efficient ships of her size in the region, and one of the most ecological. She will boast an innovative anchorless technology that will maintain the ships position, whilst protecting the sensitive sea floor. 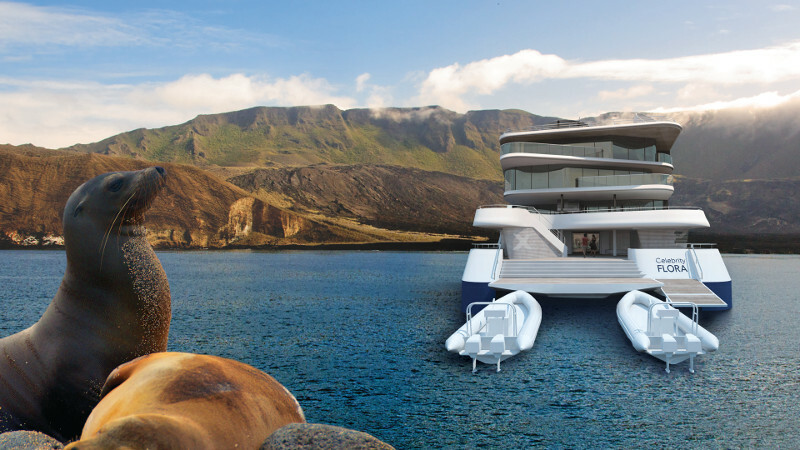 The destination has been at the forefront of the design process, and when working with a natural wonder like the Galapagos Islands, the end result is bound to be spectacular; a star-gazing platform is just the beginning. 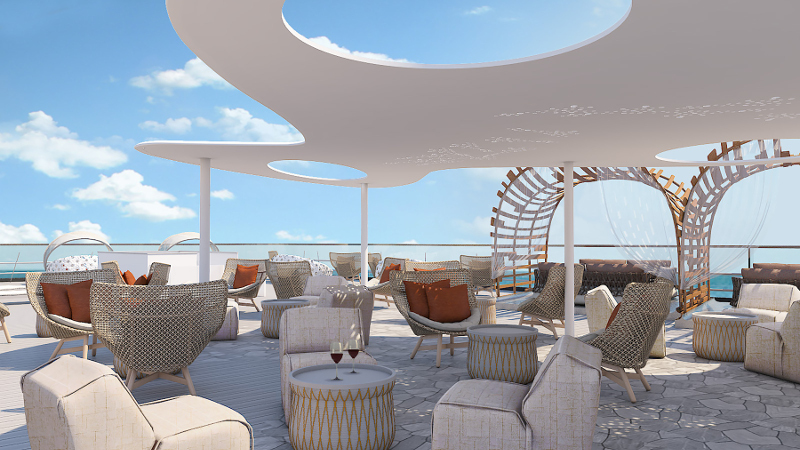 Celebrity Flora’s innovative outward-facing design offers 360 degree views of the surrounding islands, which guests will have ample opportunities to enjoy during their cruise. They can also make use of seamless sea-to-shore transportation, contemporary dining venues, personal suite attendants, and expert-lead ecological seminars, to round out the modern luxury cruise experience. The design essentially removes traditional ship boundaries, enabling guests to feel closer to the unique environment in which they are sailing, a destination that is typically very remote. Celebrity Flora brings the outside in, bringing its residents closer to the living laboratory of evolution that this archipelago represents. 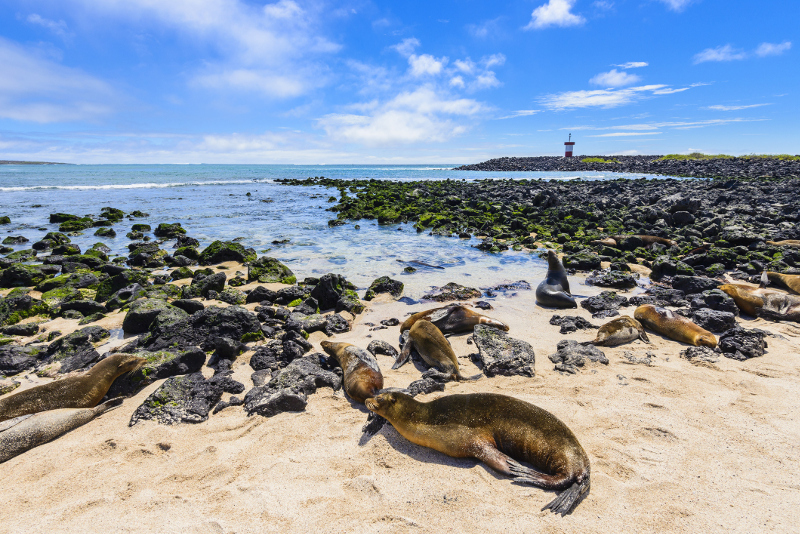 Paired with the research-based schedule, travellers are offered ample opportunities to gain invaluable education both on and off the ship; they can continue their learning about the wildlife-rich Galapagos Islands, whilst enjoying the luxuries of a high end cruise. 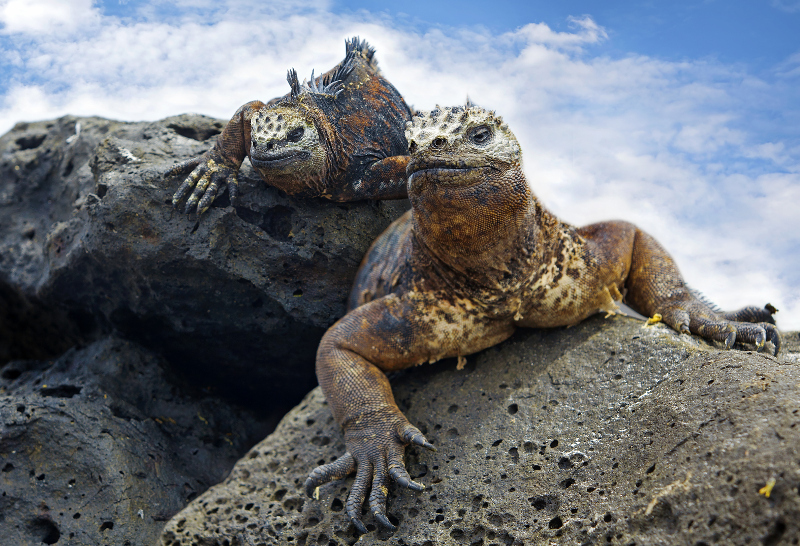 Celebrity Flora will offer a more premium, immersive experience in the Galapagos in a myriad of ways. The Marina – the main point of entry - will be able to accommodate up to three zodiac boats at once, reducing transport time between land and ship. Whilst on board, guests will be able to partake in Naturalist presentations in the Discovery Lounge, or head to the head Stargazing Platform to participate in a guided astronomy tour or simply admire the star-lit skies above. Without the typical city lights, smog and pollution, the view is something worth losing yourself in for an hour or so. In true Celebrity style, the ship features distinctive cruise amenities; the Sunset Lounge provides a relaxing haven; the open-air Vista is a hideaway that boasts 360-degree views, cocoon-style loungers and private cabanas; and the Observatory offers guests a place to enjoy the surroundings amidst floor-to-ceiling glass walls. When it comes time to dine, meals are served daily in the Seaside Restaurant, while The Ocean Grill offers a casual dining space, panoramic views and a ‘Dinner Under the Stars’ experience. Guests can also opt for in-room dining at their convenience. 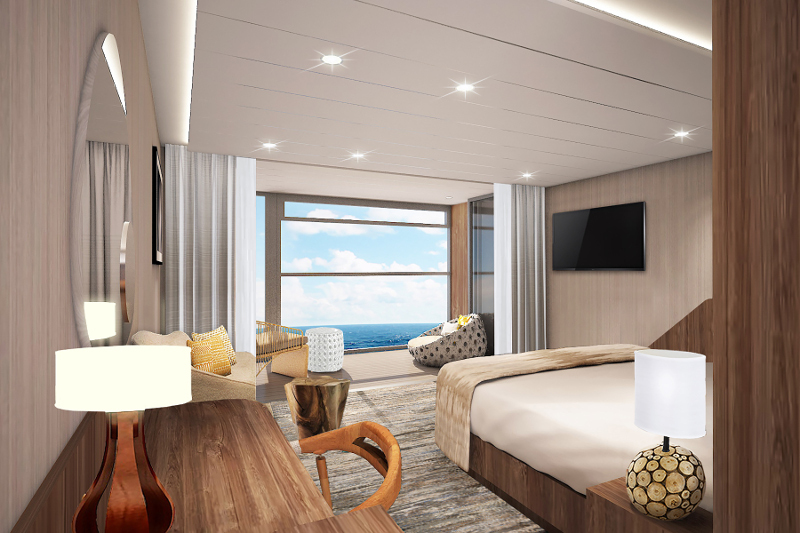 Accommodations throughout the ship will be all-suite, modern retreats designed to bring the outside in. With spacious bathrooms, signature Celebrity outward-facing layouts, Infinite Verandas and personal suite attendants, they cater to guests’ every need. They have been created using sustainable, natural and regionally-inspired materials, while in-room water filtration systems will reduce the use and wastage of plastic. Further to this, all materials on board that can be recycled, reused or donated will be as part of a strict waste management system. 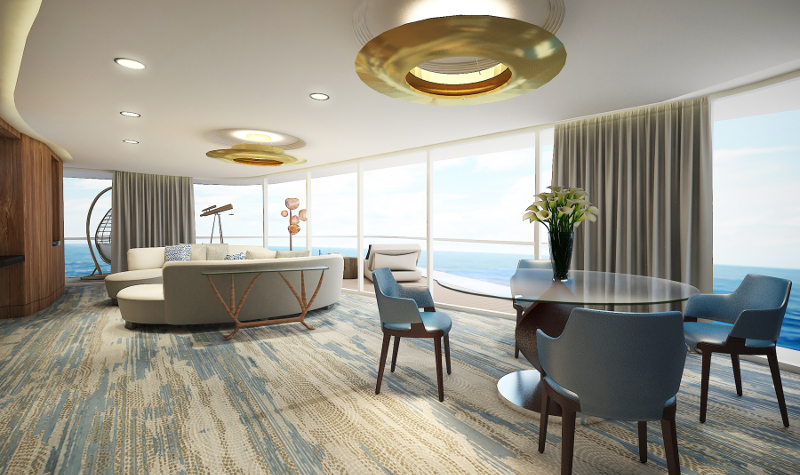 The two penthouse suits will be the largest to cruise the waters of the Galapagos, featuring separate indoor and outdoor living areas, customizable lighting, and a telescope for stargazing or marine wildlife watching. 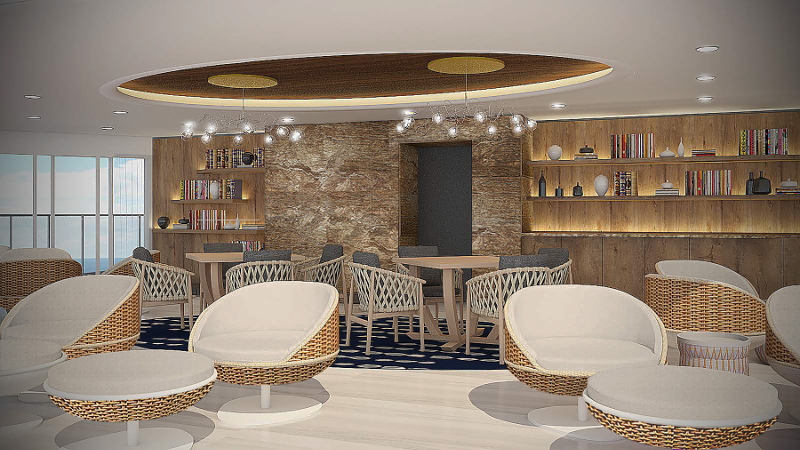 Celebrity Flora will sail from Baltra year-round, making her first sailing on 26 May 2019. 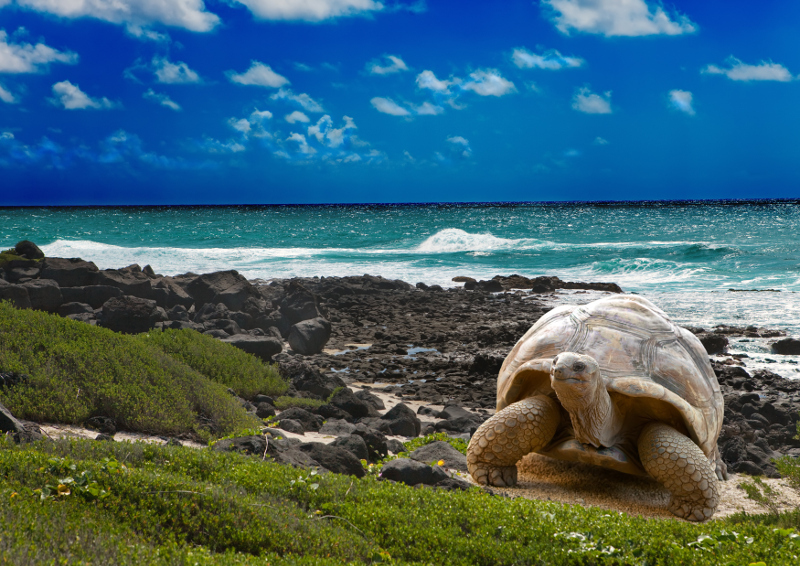 Bookings are now open, so if this peaks your interest, please talk to one of our expert Travel Advisors and they would be thrilled to help plan your Galapagos voyage. Images and quotes courtesy of Celebrity.